This randomised controlled trial is exploring whether or not micronutrients may improve symptoms of anxiety and depression in adults. The RCT is viewed as the gold standard for testing whether or not treatments work. Participants will be randomly assigned to one of two groups, either the treatment group (who will receive micronutrients) or the placebo group (who will receive an identical product that contains no micronutrients). Both groups will take placebo or micronutrients for 10 weeks. Neither the participant NOR the investigators will know which group participants are in until the end of the study. However, at the end of the RCT phase (after 10 weeks), ALL participants will be offered the opportunity to take the micronutrients for a further 10 weeks, regardless of which group they were in. That way, everyone who participates in the study has the chance to try the micronutrient intervention. Micronutrients are not a proven treatment for symptoms of anxiety and depression. For more information about treatments for symptoms of anxiety and depression, please speak to your GP or mental health professional. Please note: This trial is only open to people living in the Canterbury region. What does participation in the trial involve? You and your GP will decide if you may be suitable to participate in this study as there are a number of reasons that you might not be able to participate, for example taking additional medications which have interactions with the micronutrients. Your GP will make a referral on your behalf to the study. The principal investigator will then ring you to discuss the study, ask some final questions and further assess whether or not you will be able to participate in the study. Once you and the principal investigator have established that you are eligible to participate, you will be asked to provide written consent for the study. You will then be directed back to this website where you will create a unique, confidential and secure log-in. Via the website, you will complete a series of questionnaires about your mental health, your general wellbeing and information about your life more generally (e.g. work, education). The questionnaires will take between 30 to 40 minutes approximately to complete. During the study, you will complete this series of questionnaires up to 4 times. Your GP will be contacted to let them know whether or not you are eligible for and decided to participate in the study. This is to ensure your safety and to make sure you have the best access to suitable treatment and support. Once you have completed the questionnaires on the website, you will then start two weeks of monitoring your overall levels of anxiety, depression, stress and if you think your ability to function is improving or declining. These monitoring questionnaires will be completed on this website, using your unique and confidential log-in.The monitoring questionnaires will take approximately 10 minutes. You will not take either the micronutrients or placebo during this baseline period. The purpose of these two weeks is to provide a baseline of your symptoms. We can then measure any change during the next part of the trial against these first two weeks. At the end of the two weeks, you will start the RCT phase of the trial, whereby you will take either micronutrients or placebo. You will be asked to take up to 12 pills a day and complete the same weekly monitoring questionnaires. At the end of the RCT phase (10 weeks), you will be offered the chance to take the micronutrients for a further 10 weeks (called an “open label” phase). Regardless of whether you participate in the open label phase, you will be contacted again 1 year after the baseline monitoring period to complete further online questionnaires. We call this a follow up and it helps us understand if micronutrients help people over a longer period of time. Participation in this study will not incur any costs to you. The micronutrient and placebo product will be provided to you free of charge. After you have completed the study, you will not receive any further funded micronutrients. If you wish to purchase the micronutrients, we will assist you to do so at your own cost. The company who provide the micronutrient product donate the micronutrient product and placebo to the trial. They have no further involvement in the trial, data collection, analysis of results or any subsequent publications. The investigators in the trial have no financial involvement in the company that donate the products to this trial. If you have any questions or concerns about your mental health or treatment for a mental health issue, please speak to your General Practitioner. Referrals to participate in the study can only be made via your GP. 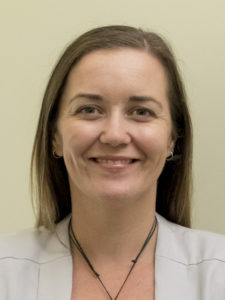 Meredith’s research interests include investigating the role of nutrition in mental health, exploring feedback-informed treatment and best-evidence practice for anxiety disorders, particularly obsessive compulsive disorder. She is also involved in ongoing research on the impact of the Canterbury earthquakes on an anxious population. Meredith has also worked on a number of research project in the areas of child development and learning and social psychology. Meredith has had experience working with adults experiencing a range of mental health issues including anxiety disorders, depression, substance abuse and dependence, adjustment, stress and offending behaviours. Julia’s research interests are centered on the role of nutrition in the expression and treatment of mental illness, from ADHD to depression, to stress following natural disasters. Research methodologies include single case research designs, open label trials and randomised controlled trials. She also has clinical interest and experience in the areas of ADHD, child and adolescent clinical psychology, learning disabilities, youth offending, earthquake research, nutritional interventions, mood disorders. Associate Professor Joseph Boden (University of Otago). Assoc. Professor Boden is providing statistical support for the study.